“There are major issues at The Baths. Yesterday there was no water so the bathrooms were closed off. The situation with the water on Virgin Gorda is dire to say the least,” said one person. They are of the view that the Minister miscalculated in his negotiations regarding the expected numbers and how they would be accommodated. “When the Minister for Communications and Works negotiated for so many passengers he did not factor in the yachts, hotels, villas, and day trippers from St Thomas and St John that visit on a daily basis. Absolutely nothing has been done to prepare for this influx of cruise passengers at The Baths,” the caller said. Another caller believes there was no planning for the increase in visitor numbers and as such the reputation of Virgin Gorda is being destroyed. Meanwhile, there was a meeting today, March 3, 2016 at the JR O'Neal Botanic Gardens to discuss the carrying capacity at The Baths. Attending that meeting were personnel from The Baths, the BVI Tourist Board, the Department of Disaster Management (DDM) Conservation and Fisheries Department, the Ministry of Natural Resources and Labour and the Premier’s Office. Permanent Secretary in the Ministry of Communications and Works, Mr Anthony S. McMaster told this news site that while he did not hear of yesterday’s water challenges at The Baths, he is aware of a long standing issue of water shortages and knows that there are usually stop-gap actions taken to bring immediate relief. “With the influx of tourists I know that between the Director of the Tourist Board and the Water and Sewerage Department we have made provisions where water was trucked to The Baths to deal with the heightened number of tourist arrivals,” he said. He added that he is not sure whether it was a case where there were more tourists than anticipated or if no water was trucked in between yesterday and today. The Ministry of Communications and Works Permanent Secretary went on to explain what is being done to address water woes on the sister island. “Yes, the Ministry of Communications and Works is aware of the water situation on Virgin Gorda. 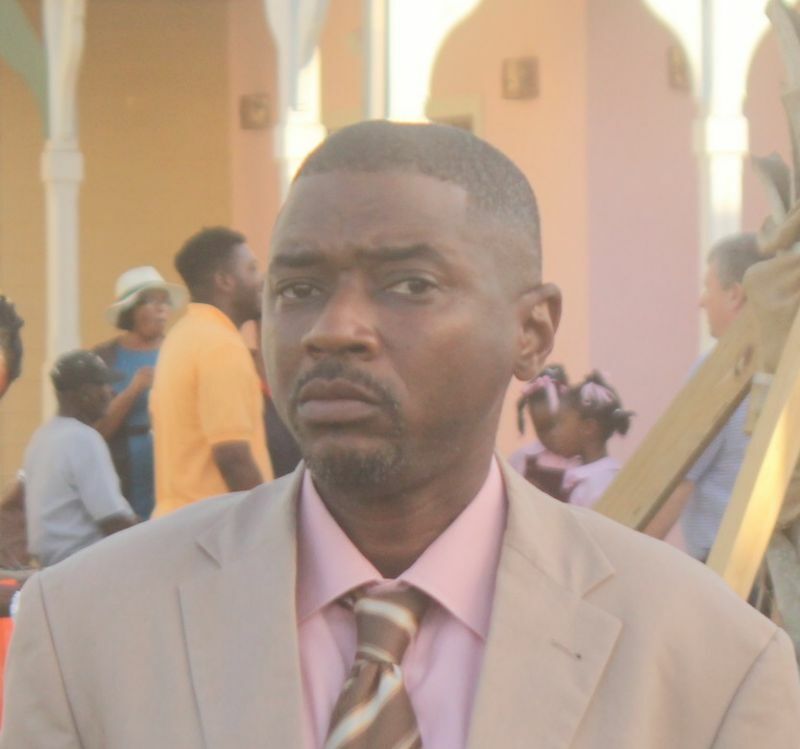 We do have some provisional arrangements in place and while it is not the ideal situation it has brought some relief to the residents and businesses on Virgin Gorda,” said McMaster. Knowing that the situation is not ideal, he said the Ministry continues to make provisions and implement processes to bring some ease while the longer term solutions are put in place. He said that as part of the short term solutions, some portable desalination plants are still be shipped to Virgin Gorda and these will be operational in another two weeks. “As those go online we expect the water situation to improve tremendously from where it is now,” he said. “We expect that the permanent solution which is the Aqua contract and the upgrade of the facilities over there will actually come into place around July/August this year which would bring definite relief,” said McMaster. 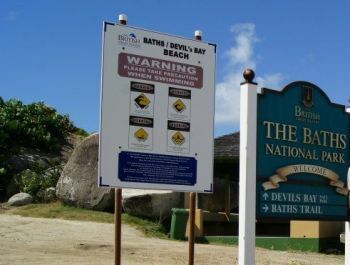 Efforts to reach persons from the BVI Tourist Board, the National Parks Trust and Conservation and Fisheries Department for a comment on the issue proved futile. This is like watching the NDP with an oil field. YES YES! MORE CUSTOMERS. MORE TOURISTS. 10 DOLLARS A HEAD! MORE SHIPS!!! um, Mr minister? The tourists say they can't use the washrooms and this one lady said she need to clean she feline. DID THEY ALREADY PAY AND THEIR HEADCOUNTS ADDED TO THE REGISTRY?? GOOD. TELL THEM WE'LL LOOK INTO IT WHILE MY COLLEAGUES FLY TO OPPOSITE SIDES OF THE EARTH AND GET SOLUTIONS FROM FOREIGNERS. NOW IF YOU'LL EXCUSE ME, I GOT TRAILERS TO GO PULL INTO MY ESTABLISHMENT. ......what a set of small minded, short sighted wastes. It's Virgin Gorda for crying out loud! One of our crown jewels in our economical cap and you fools acting like you faced with the damned Detroit flint water crisis!! How in hell's name can you try and lure people here and get them to 'spend' when they feel we can't even provide them the frigging basics like water. Bad enough you ain't got none for your own constituents. Tourists tall and reviews are quickly banged out and this is not the impression we need to be leaving! Cuba is available! Other Caribbean Islands are more enticing and developed! We can't afford to have the ball dropped by you money wasting bastards on such gross negligence! This minister and his permanent secretary need to be replace .The permanent. secretary should have been on top this water situation due to the fact that a lot of tourists goes there . What these people to do just sit down and make excuses .VG have this problem for quite a while so the secretary this should have been dealt with before the tourist season this place is out of control .It is really a shame how this place is running . The man they put in to represent them gone in a trance so he do not know what is going on. What a shame people travel for hours to get here and not even water to bathe some one tell me this isn't so. There are two tanks at the baths they shold not be empty. Some one is not doing their job. Even though I am angry about a few things, this do not have to be. Keep the tanks filled, this can be properly managed. Yes we need to get the water functioning again, and this should be given priority over the side walks right now. 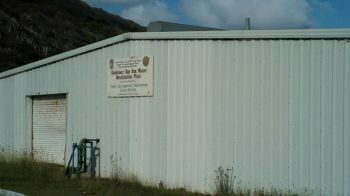 Put the money towards the water plant and get it up and running. In this day and age we should not have to go through situations like this. Last night a house owner and a renter was complaining about not having water for the tenants (guest) to use, so soon they may have to close down their houses until the water problem is solved. Let us work on this ASAP. I know you said July but we cant wait so long. Easter is just around the corner. The money that we are running up on water it could fix the problem. Lets move on it guys. You can do it. If Government hire Bomba From Bomba Shack Cappoon's Bay as a consultant ,we will have water from Anegada to Jost Van Dyke all day all night..As Bomba said the BVI is made up of water so i agree fully..Our leaders give all the water contracts to other people to manage instead of keeping it for the local to have jobs ..Millions and Millions going from the Treasury every month to these water companies and they are not producing,or it's true that government is broke and can't get pay them so they turn off the water in VG..The companies using the government land to produce water and the ocean with free water and tax payers paying for it and can't get water when we want...We starting that Political Revolution from now not 2019 ,stay tune for the announcements..
To Bernie Saunders. We in VG are ready to start this REVOLUTION now. Too much BS goin on .We got a young Rep but like his sight aint good , this man has really shown NUTTEN since being elected . He has been beggin to be 9 th dist rep , now he is in , and like he on vacation. But listen out INDUSTRIAL ACTION in d pipe lines . Thank you so much for your truthful comment. 6 hour flight from California to New York, 4 hour flight from New York to St. Thomas. finally made it to the Baths to have a beautiful day at the beach and no running water. Never again. Mark. You're a disgrace to the office you've been appointed to. Your priorities are all screwed up. Where is Bertie? Bertie know where the baths is??? Omg. How could this be. Our tourism director is neighbor to the bath. ? Little dix closeing she didnt know. What is going on? Things are fundamentally and I will add ignorantly wrong with the way we do things in this place. Omg. We heading for the cliff. if the VIP do not get them act together then the NDP will die in there. Tourism is the prime industry in Virgin Gorda/BVI and the fuel that drives the BVI economy. Tourism is one leg of a two leg economic stool; financial services, the other. Financial services may generate government revenue but tourism provides more direct and indirect employment. Tourism is the lifeblood of the Virgin Gorda economy yet the restrooms facilities at a major tourist attraction had to be closed for health and comfort reasons due to lack of water. It was not close due to mechanical problems or clogged lines or damage water closets but due to lack of water. When nature calls where and what are tourists supposed to do? Shameful! Has the NDP, National Park Trust, Water and Sewage, Minister of Communication and Work, the MCW, D-9 rep failed residents of and visitors to Virgin Gorda? Here is a thought. Can sea water be use for sanitary flushing? Visitors returning to the BVI have expressed that they thought this water issue was a thing of the past, why go back there, is it because the NDP is in Government and lackadaisical attitude have returned because anything goes under them? timers its is ridiculous . We never received a call back . It is sad that one on the best 10 beaches destination in the Caribbeans has to face this kind of situation . Shame on you. Shame on a lot of you . No surprise here. What I want to know is what are they doing with all the waste water these tourists are creating? And between the cost of the water when they finish flush, bathe their sandy feet, their feline and what all else, plus the cost of disposing of the waste water, is the head tax really worth it? Not to mention the strain and destruction of the natural environment and the alienation of the overnight guests. Mr mark i have been calling you from since November to discuss this situation and you have never returned my call . I wonder why but I will still love to talk with you. My number are 541 2554 or 346 2554 .24/7 waiting for you to return my call. Thanks for calling in advance. Come on VG, who is monitoring the tanks? They need to be fired. It's not that hard. Geeeeess. And if someone in Govt was notified and did not followup they need to be fired also. I do not blame Mark or Anthony one bit, I blame their subordinates. I'm sure it will be resolved today and never happen again. It starts from the head right down. ALL OF THEM NEED FIRING!!!! Whoever is in charge needs to get the heat for this foolishness. People from around the world go to the Baths because of the beauty and the caves. There is no other like the Baths. It is not fare that people spend a lot of money and travel time to get to a beach that is rated one of the top ten beaches in the world to find out there is no running water for sanitary purpose. Wow, that is not only disgusting but also shameful. Don't look good. Don't worry, It won't work. Everyone is not into that damn pier park. Most people would prefer to kick it at the beach. It's going to be tough but the bitter pill is still in many mouths. BVI on the move full speed going BACKWARDS. What a shame. NDP government expanding the airport and cruise pier to bring in more people, but they can't fix our water problem. These idiots always put the cart in front of the horse. Where there is no vision, the people perish.